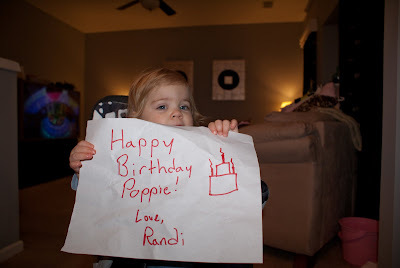 Randi Brooks: Happy Belated Birthday Poppie!!! Sorry the post is a day late Poppie...Dada played golf yesterday and Mama had the computer and camera at work! I told them I needed to do a post, but they didn't listen to me!! !